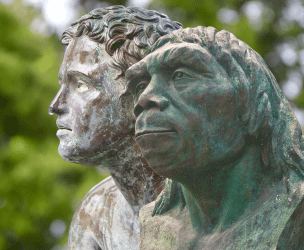 Who or what was Peking Man? If it is true that human beings are the latest product in a long line of evolutionary ancestors that were part human and part ape-like creature, there should be clear and decisive evidence in the fossil record to substantiate it. Billions of fossils should exist that illustrate the evolutionary progression of man from alleged ape-like ancestors. However, as we have conclusively proven elsewhere (cf. Harrub and Thompson, 2003; Thompson, et al., 2002), such evidence is lacking. As Colin Patterson, the late paleontologist, admitted several years ago, try though they might, with over a century of fossil searching by evolutionists, “there is not one…[transitional—JM] fossil for which one could make a watertight argument” (as quoted in Sunderland, 1984, p. 89). The elusive Peking Man is no exception. In the 1920s and 30s, a few fossils were discovered near Beijing, China, which evolutionists believed were the remains of a transitional creature they dubbed Peking Man. Evolutionists were quick to call the fossils proof of transitional creatures on the road to “modern” man and proof of evolution—dating the fossils from between 300,000 and 800,000 years ago. However, scientists have found conflicting evidence from the same site. In 1933 several fossils of “modern” humans were also discovered, who were not supposed to be on the scene yet (“Peking Man Site at Zhoukoudian,” 2011; “The Peking Man…,” 2011). Bottom line: though many evolutionists, in their desperation, still point to Peking Man as proof of evolution, there is literally no evidence to substantiate their claims. In 1941, the fossils mysteriously went missing. Gao Xing, a paleontologist and member of the Working Committee to Search for the Lost Skullcaps of Peking Man, said, “We don’t know where the bones are. They may well have been destroyed. But we have to look” (Melvin, 2005). How ironic it is, that the more evolution is examined, the more its alleged evidence goes mysteriously missing. Melvin, Sheila (2005), “Archaeology: Peking Man, Still Missing and Missed,” The New York Times: Healthscience, http://www.nytimes.com/2005/10/10/health/10iht-melvin.html. Sunderland, Luther D. (1984), Evolution’s Enigma (San Diego, CA: Master Books). 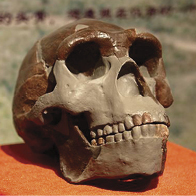 “Peking Man Site at Zhoukoudian” (2011), United Nations Educational, Scientific and Cultural Organization: World Heritage Convention, http://whc.unesco.org/en/list/449. “The Peking Man World Heritage Site at Zhoukoudian” (2011), Unesco and World Heritage Patrimoinemondial, http://www.unesco.org/ext/field/beijing/whc/pkm-site.htm. Thompson, Bert, Brad Harrub, and Eric Lyons (2002), “Human Evolution and the ‘Record of the Rocks,’” Apologetics Press, http://apologeticspress.org/apPubPage.aspx?pub=1&issue=529.